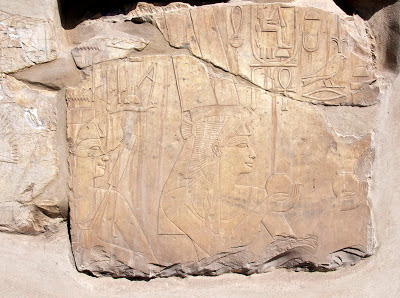 “Restoration of Queen Hatshpsut’s Netery Menu (translated as the Divine Monument)and reconstruction in the open Air museum in Karnak has finished in order to open it for public by the end of February.” Dr.Mohamed Ibrahim, Minister State of Antiquities, announced today. Dr. Ibrahim explained that the blocks were first discovered by G. Legrain at the beginning of the 20th century in the Cachette Courtyard at Karnak, and then by Sheata Adam and Farid El-Shaboury in the mid-1950’s, alongside a large number of statues of High Officials,Kings and Gods. 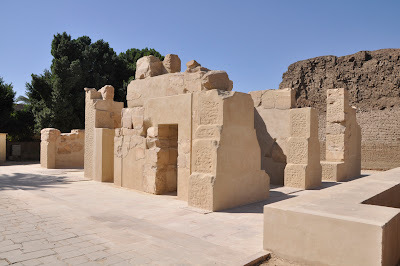 In 2008, the French-Egyptian Scientific Committee agreed the reconstruction of this building at the entrance to the Open Air Museum. After excavation, the reconstruction of the Netery-menu started in 2009 as a main programme of the French-Egyptian Centre for the Study of Karnak Temples (MSA-CNRS). The project has finished the end of last month (January 2013) and will be open to the public by the end of February 2013. 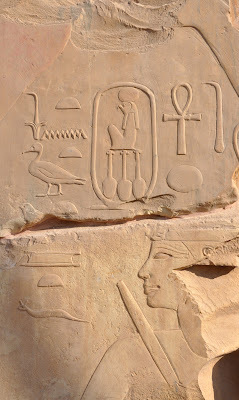 The monument of a great importance for ancient Egyptian history as it shows the power of Queen Hatshepsut before ascent to the throne of Egypt. Mr. Mansour Boraik said “The monument is 5.39 meters high of limestone. 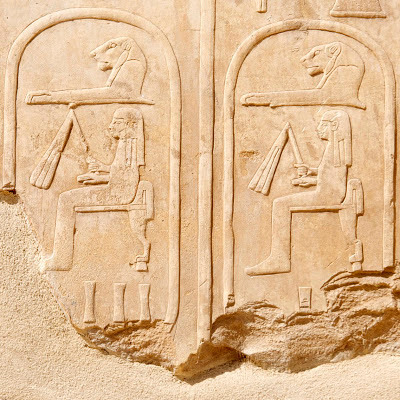 It was dedicated to Amon Re and it gives a clear idea of art in the 19th Dynasty as the depictions shows scenes of Queen Hatshepsut and her husband King Thotmose II next to the name of Thotmose III who reigned after Hatshepsut. Following completion of the iron framework end of 2009, the pouring of a concrete slab foundation of the building was completed in January 2010 (total volume: 50 m3). We then started the installation of a pavement that will cover the entire foundation. The latter was also sealed with a layer of tar, thus preventing any capillary moisture in the future. A projection a few inches cut in the pavement marks the location of the walls. This projection has also enabled a precise definition of the final floor level. 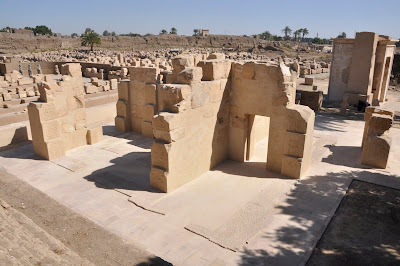 The flooring consists of large slabs of sandstone (2m x 1.5m x 0.11m approx), carved by the ancient method that uses each tile to its maximum size, creating a paving with irregular shapes called opus incertum. Numerous blocks of this building had been cut into several large fragments in antiquity to be reused. 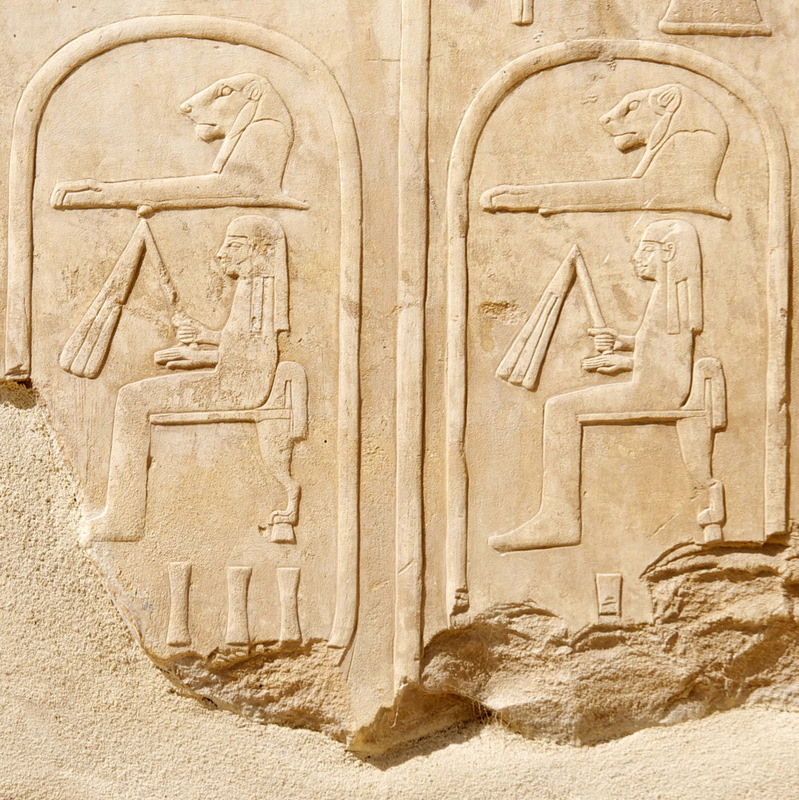 Other blocks, due to the nature of the material, were also disconnected. It was therefore necessary to gather all the fragmented blocks for assembly. This structural consolidation work, consisting of drillings, resin injections, installation of dowels and restitution of some laying faces, is generally completed. Over thirty blocks have been cleared. The reassembly of the walls began in September. Two of them are already completed and two others are still being assembled. Four other walls will be rebuilt when the second part of the paving will be done, after the complete reassembly of the first four walls. The incomplete parts of the building are rendered by traditional masonry made of red bricks and lime mortar. Wall 8, with at least one block per seat, has determined accurately the original height of the building: 5.39 m.
Parallel to the reconstruction, a study of technical characteristics is underway on all the blocks of the Netery-Menu (sheets allow a systematic survey of all elements related to technical implementation of the stone).